Tadataka Inoh (1745-1818) and his group made the first accurate maps of the Japanese Islands in the latter half of Edo period, i.e. the first half of the 19th century. 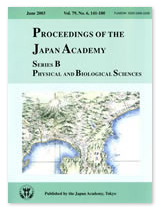 The map shown on the cover, illustrating the area around the Izu peninsula and Mt. Fuji, is a replica of Inoh's original, prepared in 1909 by Ryokichi Ohtani (1873-1934), a researcher on Inoh’s cartography staff in the Imperial Academy. Tadataka Inoh first followed a successful career in sake brewing but after his retirement at the age of fifty, he began to study astronomy under Yoshitoki Takahashi (1764-1804) and was eager to ascertain, simply from his academic curiosity as an astronomer, the exact length of one degree of latitude. His initial curiosity finally drove him to start making maps covering the majority of the Tokugawa Shogunate territory. 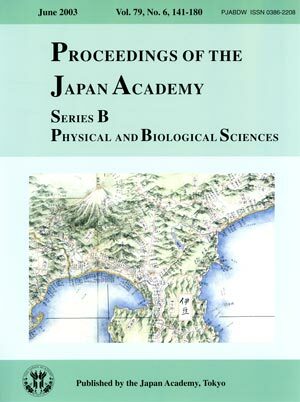 In this endeavour he tirelessly walked along the coastlines and major roads all over the country, constantly measuring the distances from one point to another, and the end result was a survey so accurate and minute that he was set the task of producing a complete nationwide set of maps of Japan.